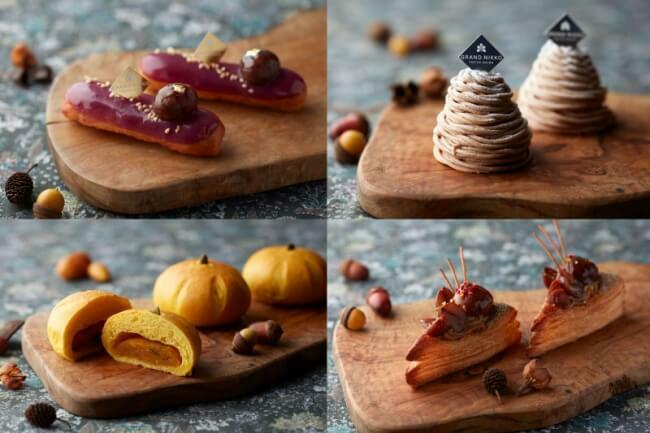 In this article we’re going to recommend numerous limited edition desserts available for this autumn only. 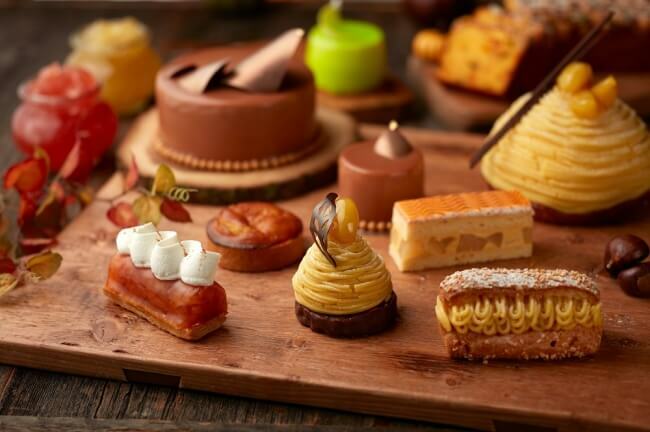 Grand Hyatt Tokyo is a luxury hotel that is introducing a line-up of new desserts made with seasonal ingredients such as fresh Japanese pumpkin and apples. 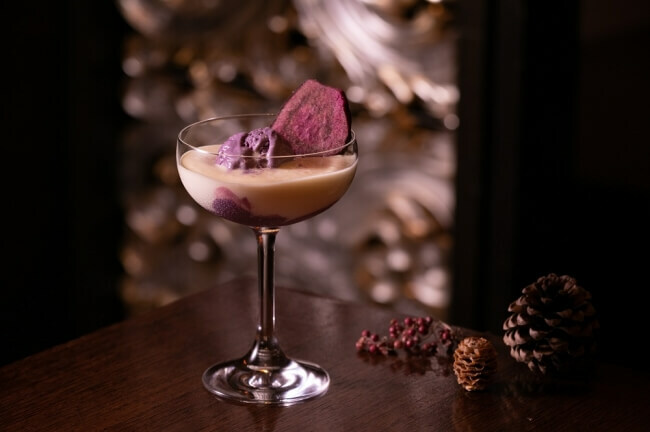 They will also sell a special sweet potato cocktail made with purple yam and sweet potato shochu. All of this will be available from the start of September to October 31. The Monte Bianco is a seasonal product popular every year made with a paste made from fresh roasted Japanese chestnuts. 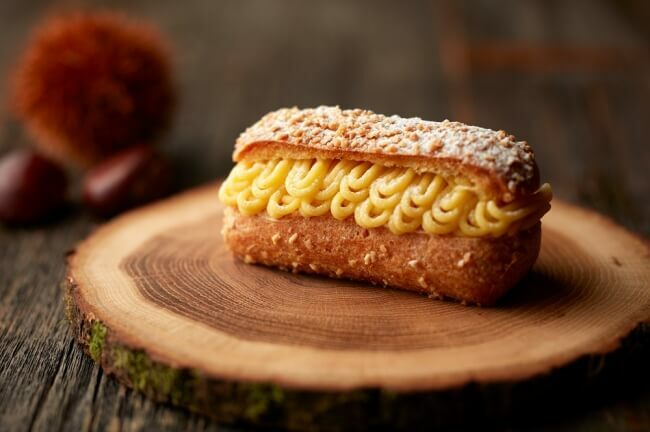 This éclair is stuffed with a homemade paste made from fresh chestnuts and chopped chestnuts. 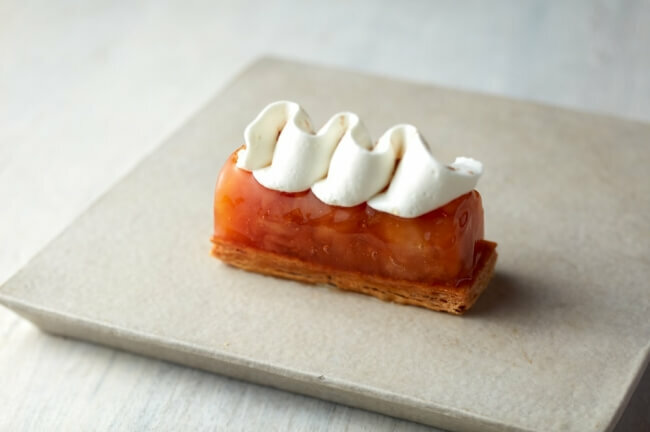 This mille-feuille is topped with cooked apples and fresh cream to make a refreshing tarte Tatin. 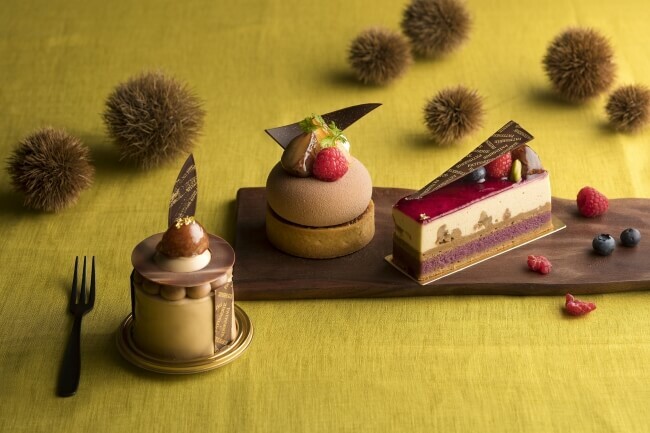 Café Toastina, located in Sheraton Grande Tokyo Bay Hotel, are serving up a chestnut themed ‘sweets and bakery’ menu that will run from September 1 to 30. 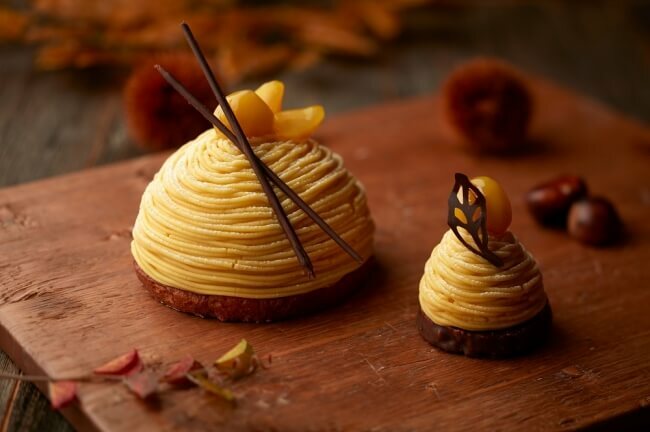 This tart is made with a chestnut mousse that contains chocolate brûlée and an orange mousse all of which is encapsulated in chestnuts, almond cream and orange. The top of the dessert is luxuriously decorated with a whole chestnut, orange peel, a raspberry and more. The orange adds a refreshing accent to the rich chocolate and chestnut mousse. This dessert is layered with a blackcurrant cream, chestnut mousse and blackcurrant icing. and topped with a whole chestnut, raspberry and blueberry. 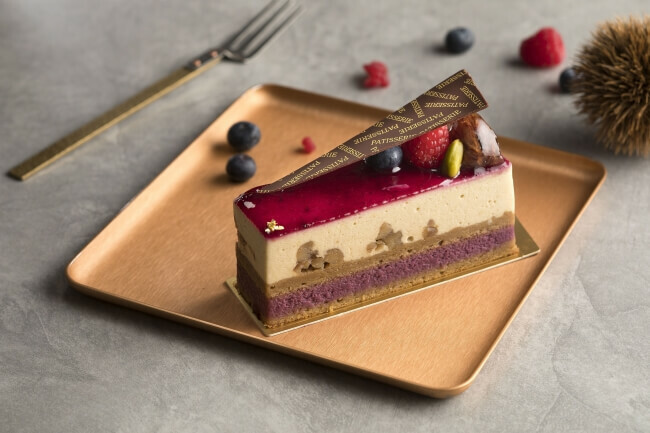 This sourness of he blackcurrant and sweetness of the chestnut complement and bring out each other’s flavours in this irresistible mousse. 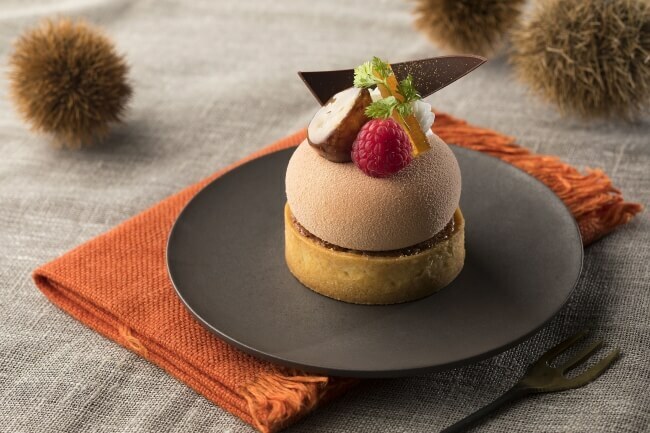 Bakery & Pastry Shop which is managed by Grand Nikko Tokyo Daiba will sell a line-up of desserts and pastries using seasonal autumn ingredients. 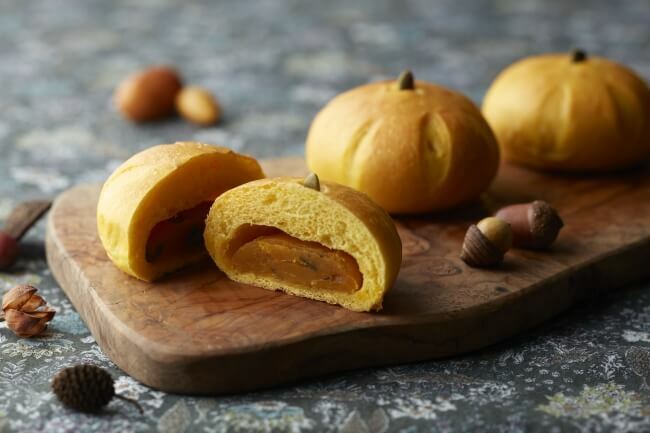 This pumpkin sweet bread is filled with a delicious pumpkin paste that’s made with lots of kabocha bean paste. These danishes have a perfect balance between sour blackcurrant and sweet chestnut. They are a perfect accompaniment to tea and coffee. The cream is made with chestnuts from Italy and the danishes are topped with candied chestnuts. If you love chestnuts then this is the autumn-filled dessert is for you. 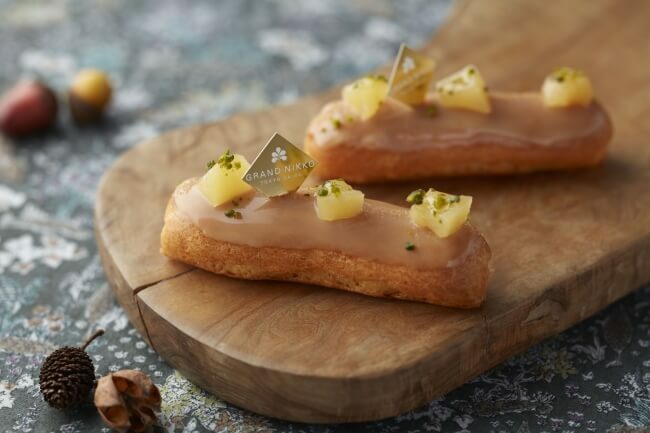 This éclair is made with sweet houjicha cream and brown sugar flavoured chocolate. 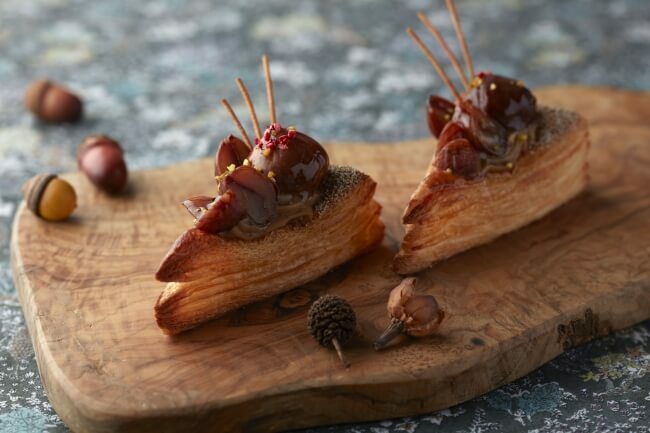 The sautéed apples give texture and a delicious sourness to the éclair and add a Japanese essence. 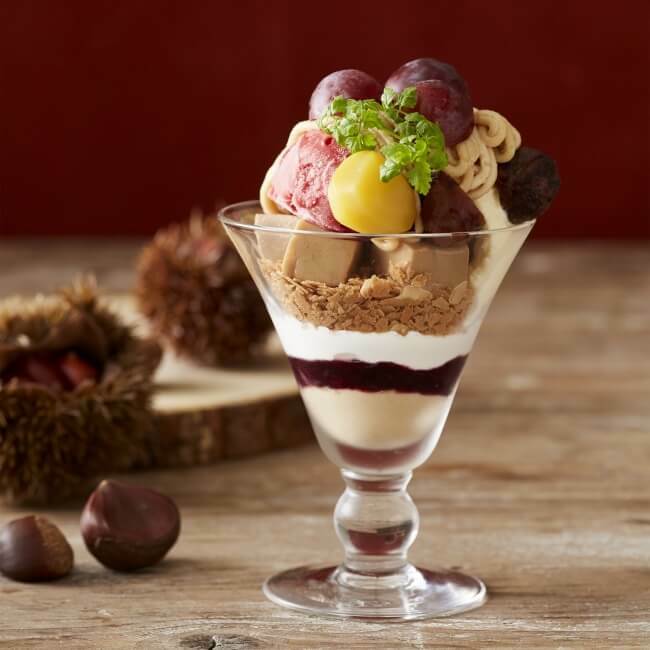 This limited-edition autumn dessert from Afternoon Tea releasing on August 30 combines the worlds of chestnuts and grapes. The parfait layers together homemade milk tea purin made with Earl Grey, raspberry gelato, and a mont blanc cream made using chestnuts from Italy. Also, to celebrate Afternoon Tea’s 37th anniversary, you can get three times the chestnuts from September 10 to 12. 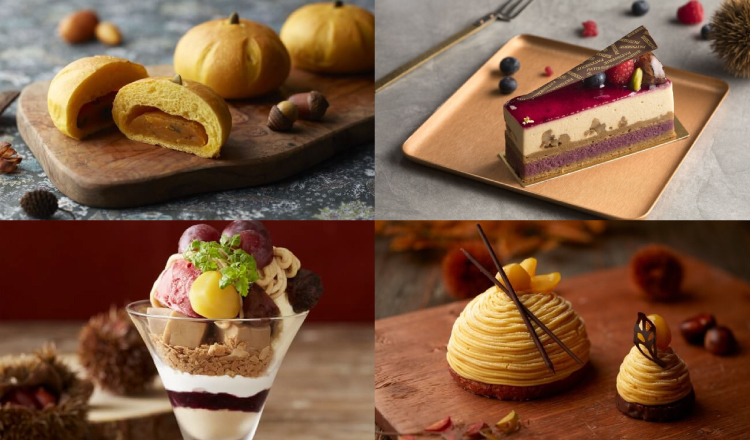 Autumn is one of the best times for desserts in Japan, so if you’re travelling here during that time make sure to get to try all the limited edition seasonal products!